Beautiful classic country home near Great Falls Village. 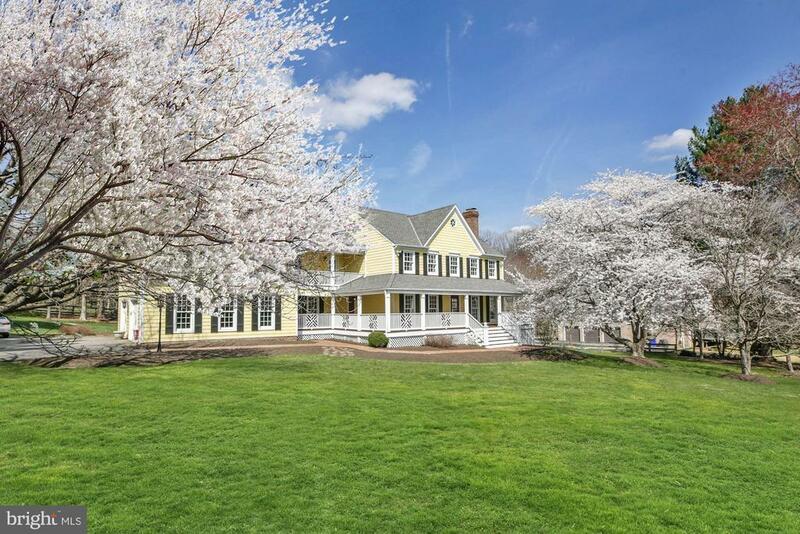 Mature dogwoods line the entrance driveway giving the 2.5-acre property a private, estate-like feel. Gleaming fully refinished hardwood deck wraps around the inviting front entrance. Elegant reclaimed tobacco barn wood flooring throughout main level and upper level hallway. Fully renovated kitchen with polished granite center island, under-cabinet lighting, full complement of stainless-steel appliances, wine cooler, integrated desk work space and adjoining breakfast room with wood burning stone fireplace. Classic French doors open to bi-level flagstone courtyard perfect for outside entertaining. Adjacent mud room with added hardwood cabinet space and slate tile flooring. Sunlit formal dining room connects perfectly through double French doors with the living room and stone fireplace with rustic wood mantel. Spacious home office on main level includes built in hardwood shelving and cabinets. Four bedrooms on upper level with large, elegant completely renovated master suite featuring fireplace with white mantle and brick hearth surround, three walk-in closets, large soaking tub, separate glass enclosed shower, skylight, linen closet and custom mirrors and cabinetry. Master opens to separate side balcony for great front views and sipping fine wine. Renovated Jack and Jill bathroom for two bedrooms. Lower level features generous game room, den area and recreation room with bar and fireplace with brick surround (one of four in the home). Entire home recently repainted.